A recent trend in public administration is the acquisition of large amounts of data. This data overload has been met with declining public trust and citizen involvement in political processes. Modern democracies face a lack of interest and citizen absence in res publica. While low participation in elections or failed referendums due to insufficient participation can be highlighted as proof of this trend, we still cannot generalize this issue. Overall, the system works, but there is a need to share examples of transparency and engagement at work. Is citizens’ low trust a factor of not understanding government? How can we change this trend? Low public trust and engagement are not new phenomena. It has been challenging governments for decades. I would compare public trust it to a jigsaw puzzle. To understand it, you need the complete picture and all the pieces in the right place. Do citizens really understand what their government does? Are they interested? Citizens have seen developments in technology and an increasing request for more data. However, their confusion is still rampant, especially as it relates to public financial management. Citizens always want to know how their money will be used. Financial management can serve as a bridge for helping the public to understand their government. Government financial managers should be required to provide data in a way that is easy for citizens to understand. 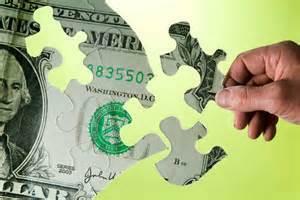 The financial relationship is one of the most basic building blocks for developing public trust. Providing this information in a simple and understandable way can help encourage higher citizen involvement and possibly higher satisfaction. However, failure in this area can demonstrate insincerity and be interpreted as selfishness by the government. Some researchers warn against the growing confusion regarding the amount of data the public sector collects, in particular, financial data. Budgets, or other tools of public financial management, are becoming more complicated. One of the main goals of financial transparency is to discover why people are not familiar with the city, state or region’s financial situation and help them understand it. Finance managers should be committed to supporting greater citizen involvement and strengthening public trust in the government and its financial management. How to proceed? This situation can be turned around by sharing best practices and studies in public financial management, nationally as well as internationally. Here are some examples of ways to raise citizen involvement and public trust in the government from the perspective of public financial management. The regional government of South Moravia in the Czech Republic has introduced the initiative “Your Region, Your Budget.” Although traditional budgeting under national legislation provides some space for discussion that space is very limited. People can only discuss the final version of the budget, but it must be done within a statutorily defined period. As a result of this initiative, citizens can participate in the budget process during preparation stages. There is a standardized online questionnaire that allows citizens to identify priorities and several specific activities or projects in the budget for the next calendar year. First introduced in 2013, only 59 citizens participated that year. In 2014, 451 citizens participated according to the government’s official website. Government managers should make it easy for residents to understand how the government manages its resources. By simplifying information about the annual budget deficit or surplus, financial managers can gain public trust. They can do it through development and promotion of relevant and sound financial analytics, making the information understandable for governmental workers and residents. As this particular issue is about empirical pragmatism, there should be even greater cooperation between managers and researchers in phases like development and introduction. Finally, the issue of the design and introduction of such concepts to the public should not be underestimated. Public sector organizations are, to a certain extent, like private sector organizations and they should be innovative. The tools used cannot be as rigid. There should be ongoing discussions about its usefulness and suitability. Public trust is without doubt associated and influenced by the way a governmental bill is published. Good, understandable and useful financial concepts are the way to improve the government’s body language to its citizens especially as it relates to financial data. Citizens pay attention and their understanding increases with the ability to compare. Governments can encourage higher citizen involvement in financial management by providing different benchmark initiatives. Established and clearly defined benchmarks would allow citizens to understand how programmes are progressing and identify the best ones. It would also reduce the complexity common with budget charts. Benchmarks can be an easy and a helpful tool to understand and assess the government’s financial condition. It could also be a beneficial tool for showing a program’s ROI. The advantages of these approaches are their simplicity. They also support and encourage citizen involvement. These are not 100 percent guarantees for regaining public trust, but they offer a first step. While financial management deals with fact-based numbers, trust is often associated with emotions – and, in this case, it requires more than just giving the facts. Author: Filip Hruza is head of the Public Administration Institute and is affiliated by the Department of Public Economics, Faculty of Economics and Administration at Masaryk University. He can be reached at [email protected] and his bio can be found at http://www.muni.cz/econ/people/99925?lang=en. South Moravia seems to have a population of 1,169,000. Getting 451 people to respond to a budget questionnaire almost certainly gives no meaningful data about the preferences of the unit.